'Tis the season for decorating and gift giving. 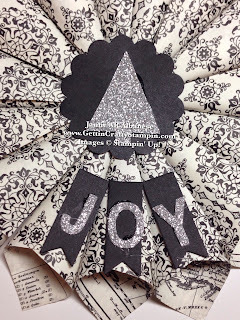 This Paper Cone Wreath Ornament is the perfect combination of the two! Easy to create, with a huge variety of designs in our Designer Series Paper you can create the perfect decoration and gift for all those special people on your list! 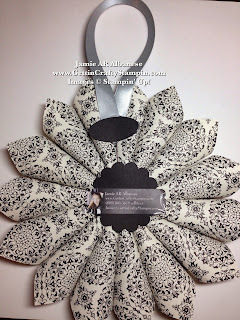 See the fun video tutorial on how to create this or Join the FREE CLASS Next Week to deliver a free ornament. It's an understatement to say how much I love our top quality Designer Series Paper!! It's versatile and there are so many options - you can customize to coordinate with a person's style or set the mood to a card with colors and patterns. I love, too, that our Designer Series Paper is double sided. Did you know that it's cutting edge style? With modern colors and patterns it is contemporary and stylish. Technique Thursday is a fun way to learn a new and quick WOW Technique. This week's Technique Thursday has a fun Video Tutorial on this very Paper Cone Wreath Ornament. Here cutting one sheet of the Typeset Designer Series Paper into 3" squares gives me one ornament per sheet! I love that there is no waste. 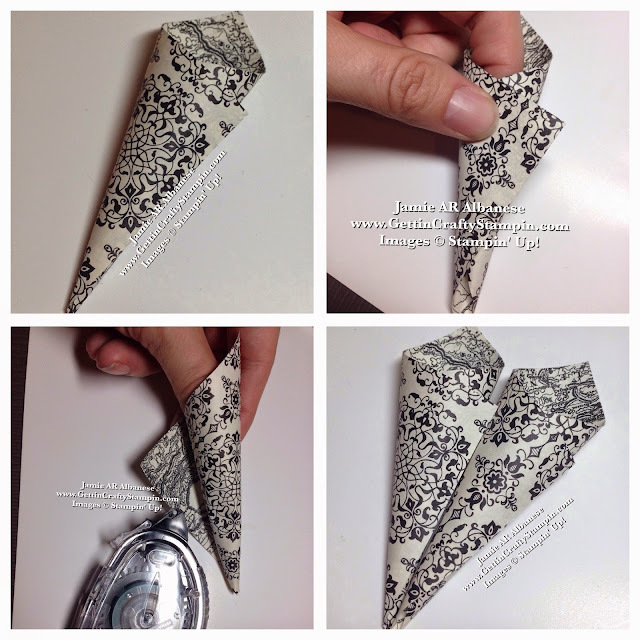 Create these paper cones using the Fast Fuse adhesive (I tried the SNAIL adhesive but it didn't stay adhered). You, too, can join in on this fun and FREE Class! It's super easy and the results are WOW-tastic! Build the wreath when you use the Silicone Craft Sheet to pool hot glue and create this hand-crafted wreath ornament. I just love our Silicone Craft Sheets!! See how easy it is to create this on the Video Tutorial above. 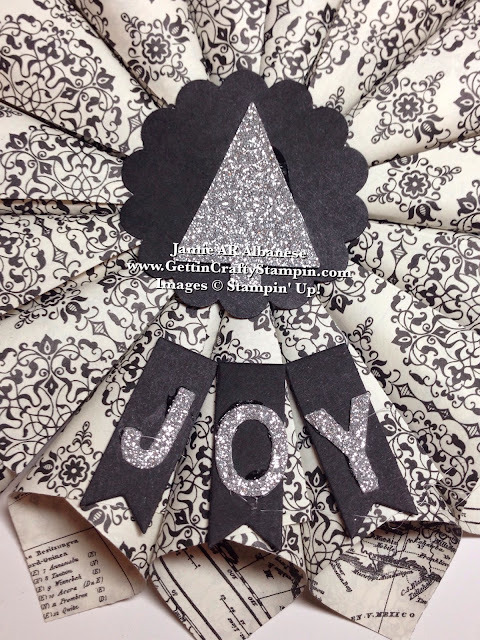 Adding sparkle with the Silver Glimmer Paper and the Little Letters Thinlits to spell just what you want to say. 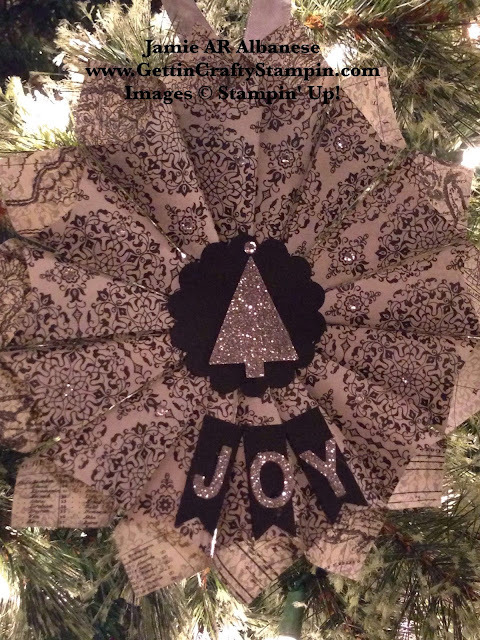 Here JOY Says it all and while sparkling!! The Snowflake Card Thinlits has this great tree punch - added over the 2-3/8" Scallop Circle Punch in Basic Black and the Basic Black Banners Thinlits allow the Silver Glimmer pieces to shine with the proper contrast to frame it. Dashes of sparkle with the adhesive backed Rhinestone Jewels through the hand-crafted ornament. 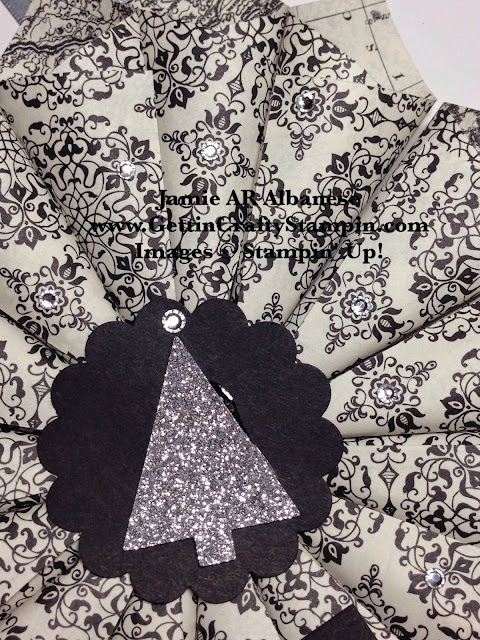 Adding a second 2-3/8" Scallop Circle Punch to the back of the hand-crafted paper-cone wreath ornament to support it. The rich elegance of using our amazing Silver Satin Ribbon gives a wonderful and coordinated hanging loop. 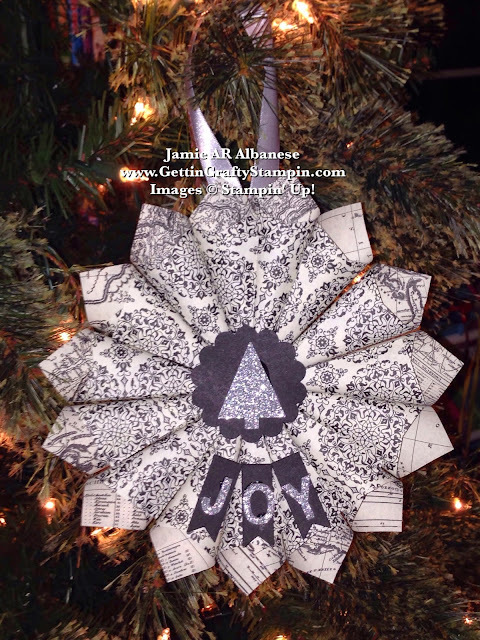 This is great for your own tree or as a gift! 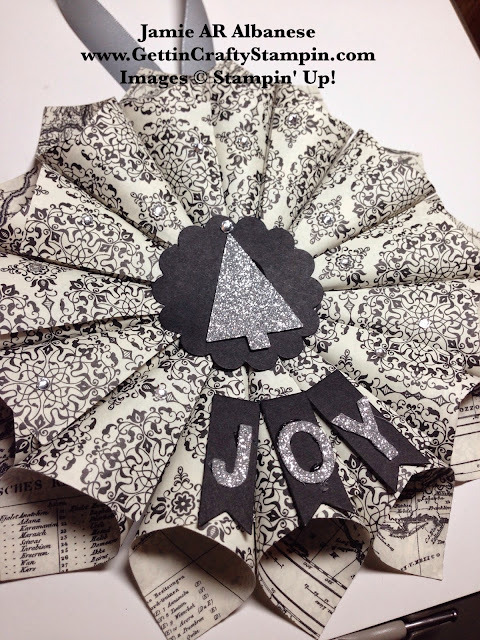 Deliver a hand-crafted, vintage, paper-cone wreath ornament for those great people in your life. From your coworkers, boss, family, friends, neighbors, teachers and more - this gift is universal (if you can find the ability to part with them). I love giving a personalized, hand-crafted gift that fits the style and personality of my loved ones. 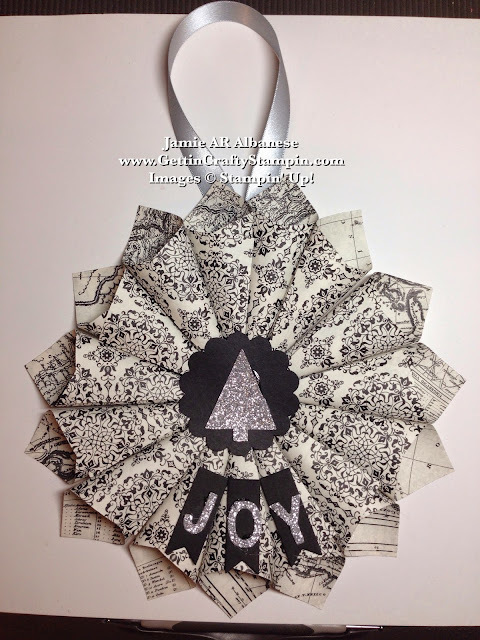 With no waste, this pretty ornament comes from one sheet of double sided, stunning Designer Series Paper. I hope that you enjoyed this video tutorial on the Technique Thursday... please like and share me with your family and friends (and Join Us at the upcoming class).